150 tons capacity. 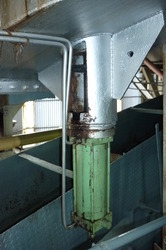 Used in Sugar Mills. 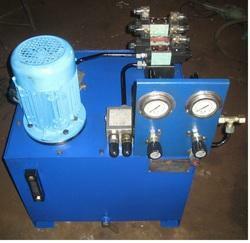 Common Power Pack, Valve Bank, Inch control, Stainless steel rams and stand by pump Motor. Supported by trained personnel, we are readily instrumental in presenting a comprehensive spectrum of F Type Hydraulic Tipping System. BIERI has a long experience in hydraulic systems and has developed, manufactured and installed custom-made complete systems for all types of industry and services. It includes the small power unit trough to the complex system encompassing any pressure range. Credited among one of the credible market names, we are indulged in bringing forward an extensive collection of Single Preheater Hydraulic System. Digital Static Charge Meter Model DZ4 from SSD Japan (since 1938). Non Contact Type. Easy and light wt for portability, 3 & frac12; digital display. Measurement upto ±19.99 kVAC. Essential instrument to check static charge available in your working area. To know more about it contact us…… For detail down load PDF…….. The hydraulic system is the part of the Selespeed that in the practical sense, has the task of the selection - engagement of the required gear.The fundamental function of the hydraulic system is to supply the hydraulic energy to control the actuators.